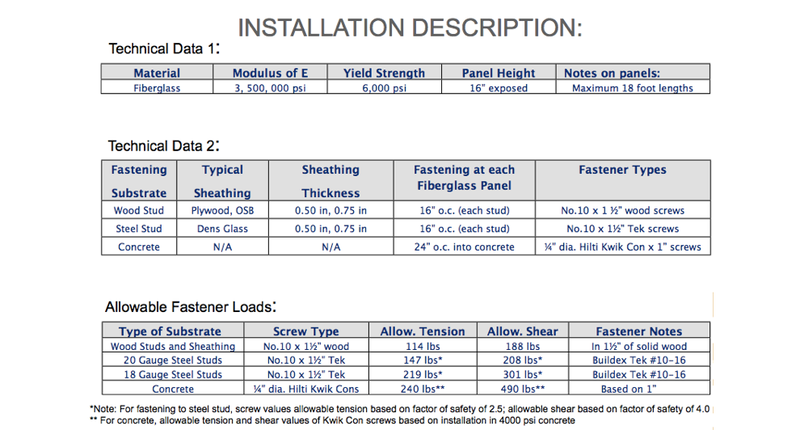 Fiberglass has a coefficient which provides increased stability over aluminum, steel and PVC. 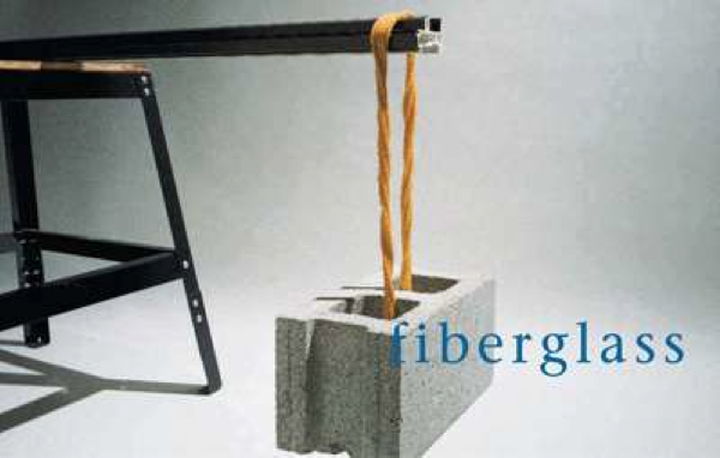 Fiberglass combines strength with very low levels of conductivity, without adding thermal breaks. Panel lengths can vary as needed, up to 24 feet maximum. 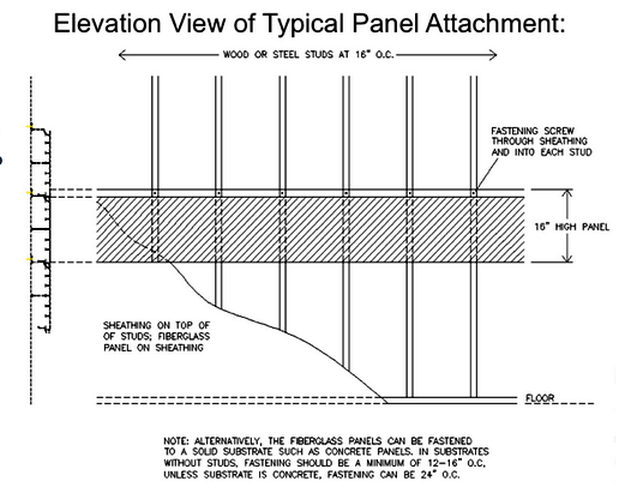 Top portion of each panel is fastened into substrate; bottom portion of panel is locked into continuous channel of panel below. Exposed face of each fiberglass panel is 16 inches high. A window system is only effective when all components are working together, and the basic feature in a window that supports the performance of all the components is the structural strength of the window’s framing material. Tensile strength is a measurement of the ability of the material to withstand forces that tend to pull it apart and to determine to what extent the material stretches before breaking. Tensile strength equals force (load, lbs.) divided by the cross section area (sq. ft.). Tensile properties of some materials (e.g. PVC) can change rapidly with small changes in temperature. ten times stronger than PVC. Modulus of elasticity (flexural modulus) is a measurement of the stiffness during the first or initial part of bending. 1⁄3 of aluminum, and ten times that of PVC. The polymer resins used to solidify the glass are different than PVC. Reinforced fiberglass pultrusions use thermoset resins while PVC uses thermoplastics resins. Difference between lots of single uncross-linked molecular chains and a cross-linked chain. 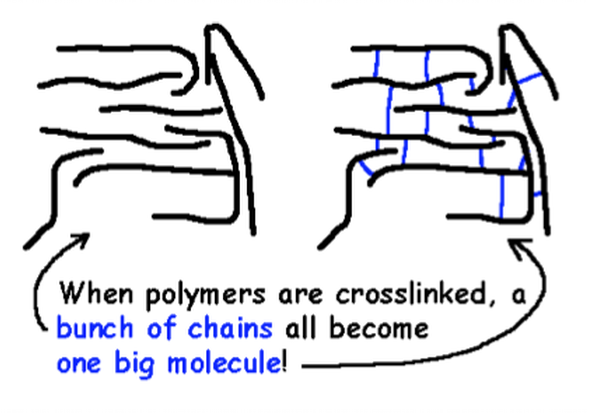 Cross-linking is the process in which large polymer molecules react with each other to form a three-dimensional network. The mechanical and chemical properties of the polymer typically change when this happens. Cross-linking occurs in the pultrusion forming die at high temperatures, tying all the polymer molecules together. Because they’re tied together and locked to a profile, they can’t flow (slip) past each other, around each other, or be broken apart from each other. Thermoplastics resins (PVC) and aluminum have a linear molecular structure and are not cross-linked. The physical properties of PVC are at their greatest strength around 72 ̊F (22 ̊C). PVC, as a thermoplastic resin, is temperature dependent, meaning the tensile strength of PVC will diminish (soften) as the temperature rises above 72 ̊F, and without additives to the resin can become unstable around 135 ̊F (57 ̊C) and will melt around 170 ̊F (76.6 ̊C). In cold temperatures PVC becomes brittle and prone to breakage. 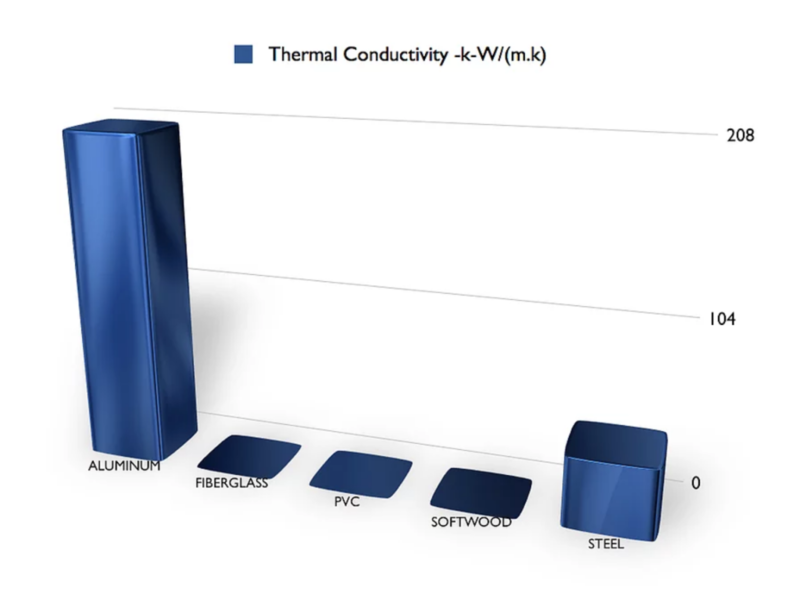 The physical properties of PVC are directly related to the air and solar temperature. The physical properties of fiberglass are relatively constant through the full range of climatic temperatures that a window will be required to perform in. 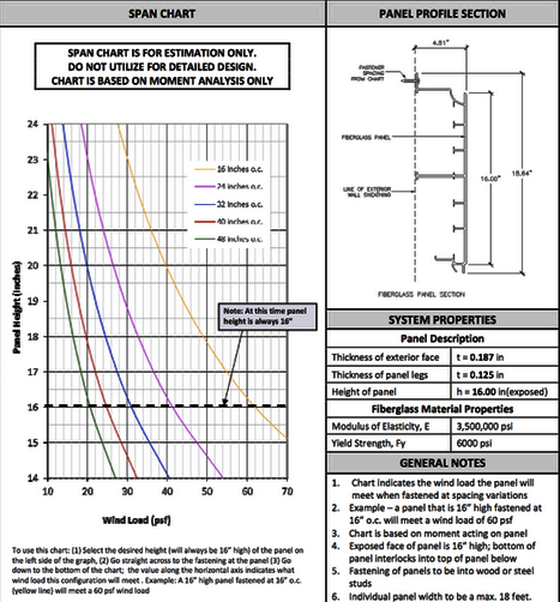 The chart shows how heat reduces the flexural modules of fiberglass and PVC. An object will hold the heat at a higher temperature than the air. The chart shows a high temperature of 167 ̊F (75 ̊C). This is not extreme. 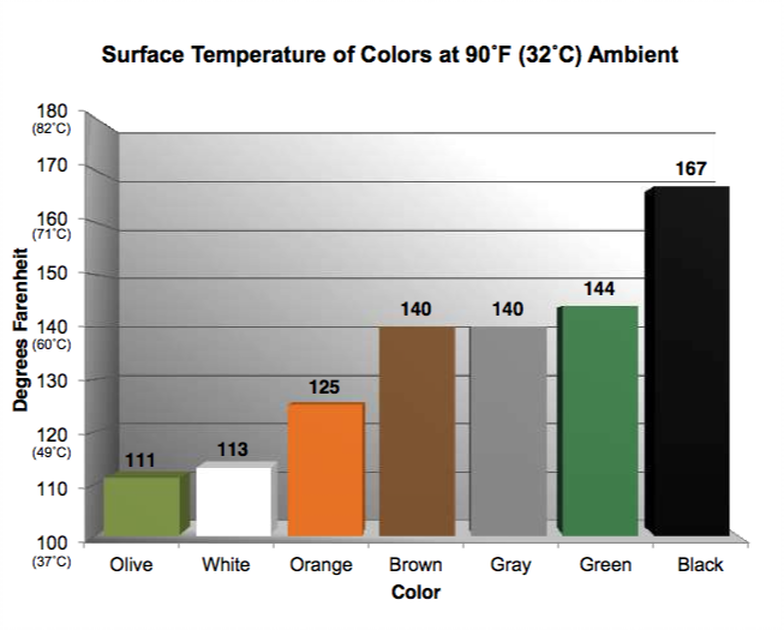 Based on an air temperature of 90 ̊F (32 ̊C), thermocouple readings of a medium color painted profile, which will retain heat, could have a surface temperature of 122 ̊F (50 ̊C), while a dark color could be 145 ̊F (63 ̊C). This is why PVC windows are not normally available in dark colors. It does not out-gas like PVC. It is unaffected by temperatures up to 350 ̊F (176 ̊C), or down below 122 ̊F (50 ̊C), which is well beyond normal climatic conditions. Aluminum has an excellent strength-to-weight ratio. It is one of the material’s best characteristics, but fiberglass has an even superior strength-to-weight ratio. Aluminum’s strength would perform better if the frame was made from a single profile. But aluminum cladding having high thermal conductivity must incorporate a thermal barrier. This produces a three-part component frame (outer frame/thermal barrier/inner frame), which reduces its structural strength as compared to fiberglass as a single profile frame. As owners and industry standards demand lower U-value performances in a cladding system, aluminum manufacturers are forced to add larger thermal barriers to reduce conductivity, with the trade-offs of weakening the frame and greater expense.